The Department of Homeland Security and the National Cybersecurity Alliance have partnered to create a collaborative effort between government and industry to help educate Americans and help them StaySafeOnline. The efforts have grown exponentially, encouraging all internet users to be #CyberAware. 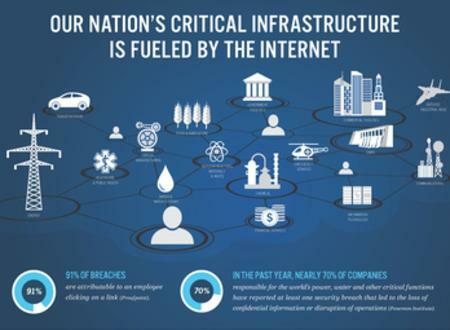 Afterall, the safety of our Nation's Critical Infrastructure depends on all of us (see the Infographic below). October is National Cybersecurity Awareness Month (NCAM) and each week, StaySafeOnline and the NCAM post information and different topics to help us secure our information and our infrastructure. The more we learn, the safer we'll be. Find out more at StaySafeOnline.org.